Download Your Free PCS E-book! 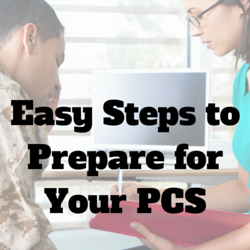 Are you facing a PCS during the coming months? MilitaryByOwner is here to help! Aside from being the "go to" website for military families finding, selling, or renting homes near military bases, MBO offers numerous free resource articles and daily blog posts. And now we're excited to bring you the first in a series of FREE ebooks focusing on military relocation! From depersonalizing your home to maintenance tips and staging advice, don't miss these tips designed to prepare your house to sell! This section considers insurance concerns and leaving your home ready for tenants. Will you sell, ship, or drive your car? Whether it's your first move or you're a seasoned veteran of military moves, we think you'll find this PCS book a valuable resource for your next move. Download your FREE PCS E-book today!